At the World Wide Developers Conference, Apple introduced a slew of new software versions of its platforms. The event started with a keynote from Apple CEO Tim Cook. The event involved launches of new updates for iOS 12 and macOS. Last year has been a slow one for Apple, with iPhone sales declining after it confirmed that company throttled the speeds on the phone. This year in March, Apple also launched its educational iPad. The event which started on June 4 is yet to go on for four days, but sadly, Apple did not introduce any hardware this year. Below, we have detailed the prime highlights of the event, which took the spotlight. If there could be a show stopper product at the WWDC 2018, it will have to be the iOS 12. Speaking of the iOS, this time there is going to be one feature which is going to steal the show – the digital health dashboard. This new update will encompass a host of features which will help users curb smartphone overuse. There will be Do Not Disturb, Group notifications which will declutter the notifications on the home screen. Users will also be able to set a timer for how long they should be using certain applications. Also, iOS 12 is all about the speed and reliability because iOS 11 was riddled with a lot of quirks. It was Apple who first brought Animoji to the iPhones, Samsung then introduced AR Emoji. 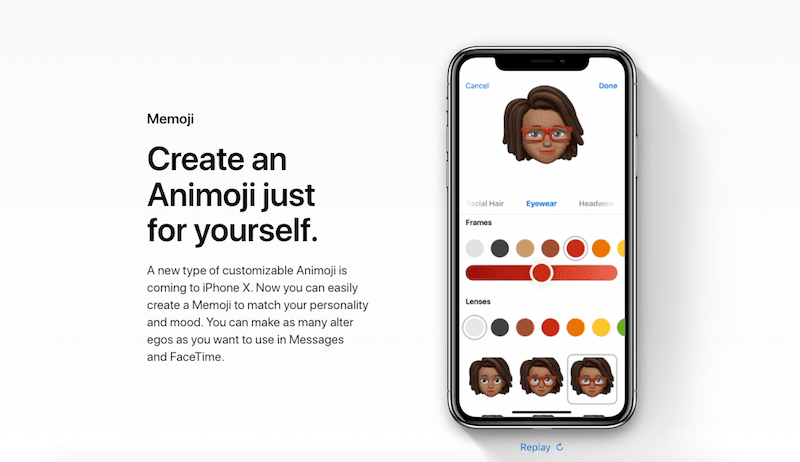 Now Apple is replying back by bringing Memoji to the iPhones. These stickers now come with a “tongue-out” detection, meaning that now you can make emojis stick their tongue out. Apple is also taking inspiration from many photos to design look alike emojis. There is also a Facebook-like feature which tells the users about photos they look last year as a memory reminder. There are Animojis, stickers, text, and a drawing tool built into the app camera, and iOS 12. Now Facetime also offers a group video chat feature which will allow up to 32 people to chat at once. This new update will bring suggestions to Siri. Meaning that now Siri will suggest you apps or things which you might want to do based on your phone usage behaviour. There is also a new shortcut app which lets you make customised actions, for example, you can set Siri to order a coffee with your specific dietary preferences or to set up a particular radio station to play. You can combine all the actions under a single name. Users will also have the ability to combine the shortcuts with third-party devices, such as a Tile, and it will be able to locate lost items with its own personalised trigger phrase. Apple is continuing with the popular tradition of naming the macOS after beautiful landscapes. 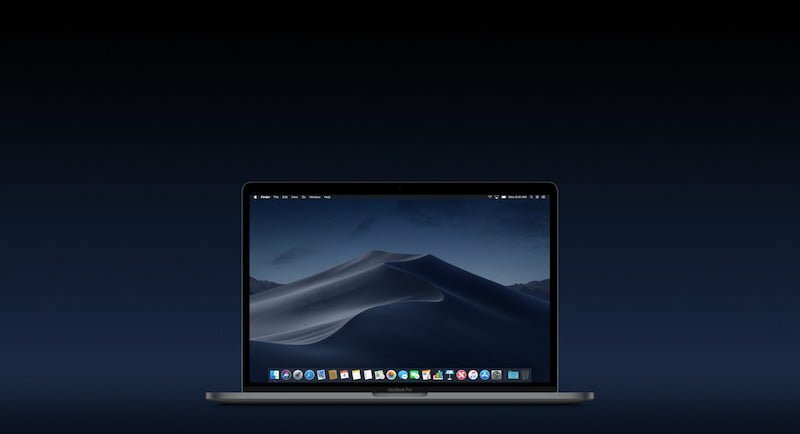 This time, the new macOS Mojave comes with a dark mode which turns the finder window into the black. There is also an obvious emphasis on privacy, with a new Safari feature that will block tracking sites like Facebook’s Like and Comment feature and will ask you to allow it to appear when you’re browsing a website. The company will give “simplified system configuration” to sites in order to prevent them from being able to identify and fingerprint your device for advertisements. Apple is also redesigning the Mac App store which will now feature new sections that sport better highlight video previews, ratings, and editor’s choice picks. Some new apps on the store include Office 365, Lightroom CC, and BBEdit. The macOS Mojave will feature some productivity bumps too, like Stacks to organise their desktop or sign a PDF document just by selecting a menu option from the sidebar. Even screencapping videos will not be quicker from the keyboard shortcut, rather than going through QuickTime to screen record. Mojave will also come with Home, so users will be able to adjust all their smart home gadgets from a Mac dashboard or ask Siri on the desktop to make the respective changes. Users of watchOS will now get plenty of new social features using which they will be able to challenge friends to fitness competitions, get digital awards, and record workouts. With a new functionality called WebKit, users will be able to browse some websites on the Watch, such as a restaurant menu optimised for the tiniest screen Apple sells. The new watchOS will also support podcasts, along with interactive notifications such as Siri Suggestions and Shortcuts. Apple is also introducing a new Walkie-Talkie feature on the Watch, where other contacts will be able to send you voice messages and Apple watch users can tap to play the message. iOS12 db1 is blazing fast !!! Also, Kudos to Apple for extending iOS support into the sixth year for the 5S !! Yep! A 6 year old phone getting a new OS update and an update that is going to make the phone run up-to 50% faster!